Born Again Pews recently installed new church pews in Holly Springs Baptist Church in Holly Springs, Arkansas. Nearby to Camden and Fordyce, Arkansas, Holly Springs is a small community that is passionate for Christ and helping others. We had the pleasure of meeting the church leadership, Pastor David Dillard, and getting to know the church a bit more. We installed new church pews that help showcase the church’s beautiful building. The church pews we installed are a contemporary style with cantilevered pew ends. Cantilevered pew ends are also called floating church pew ends because they don’t touch the ground. They give a lighter feeling to a church sanctuary and that was a perfect fit for the Holly Springs Baptist Church. The church interior is white with lots of bright windows letting in outside light. The cantilevered pew ends keep up this feeling the church interior creates that helps the congregation feel like they’re in a special place. You’ll also notice that the church pews are a darker brown color. While the church could have opted for a light golden or honey brown or even white church pews, sometimes a bit of contrast is best. The darker color of the church pews allows the interior to mot become completely overwhelmed with light colors and look washed out. Instead, it looks grounded as equally as it looks ethereal. 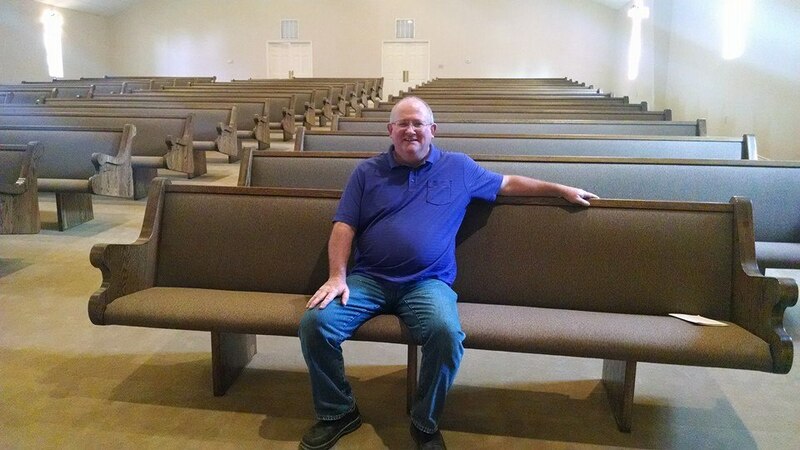 We hope that when the church at Holly Springs worships in these pews for decades to come, they’ll remember the reasons why Jesus Christ is our Lord and Savior. We know that their new church pews will serve them well for decades and we’ll be there if anything should go wrong with our workmanship. 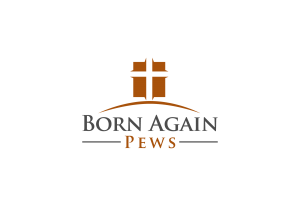 We know that the money they saved on their new church furniture will help them continue on their mission trips to places across the world too.